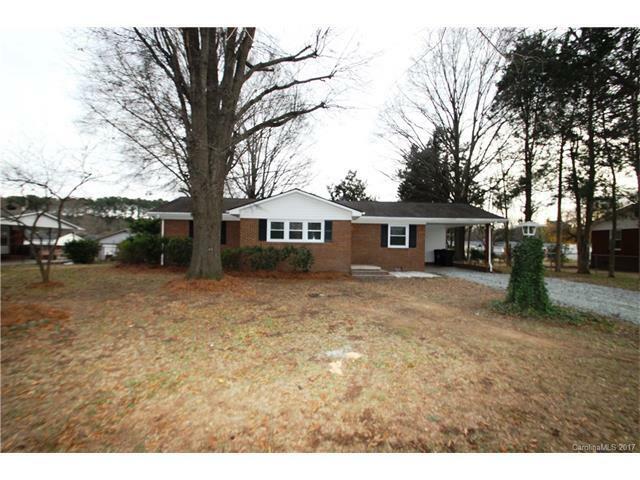 Many updates to this full brick ranch! New Front Door, New Vinyl replacement windows, refinished hardwood floors in the living room and 1 of the 3 bedrooms. New tile flooring in the kitchen, hallway and bathroom. The kitchen features new quartz counter tops, new tile back splash, new stove, new hood, new under mount kitchen sink/faucet, new hardware and fresh paint on the cabinets. The bathroom features a refinished tub/faucet, new tiled surround, new toilet, new sink/faucet. All new interior paint, & all new interior lighting/ceiling fans. All new carpet in 2 of the bedrooms. All new nickel door hardware throughout the home. All new PVC plumbing throughout the home all the way to the street. New Electric Water Heater. New electrical service. The heat was replaced in December of 2017. Freshly painted shutters. The outbuilding stays!